Clara Benning, a veternarian who specializes in wildlife rescues in a small villiage in England, is reclusive by nature. Supremely self-concious of her appearance due to scarring left after a childhood accident, Clara avoids human contact whenever possible. Yet, when a neighbor is killed by a bite from a poisonous snake, Clara turns out to be the only local expert authorities can turn to for help. Soon, snakes are turning up all over the village, and three more people are found dead. When one of the snakes turns out to be a taipan, a snake that is not found naturally in England, it becomes obvious that the deaths are not accidental, but murder. Clara is pulled deeper into the investigation, aided by a soft-spoken neighbor and a eccentric reptile expert. The investigation prompts them to delve into tragic fire of a village church that happened decades ago, uncovering secrets that clearly someone wants to keep safely hidden. 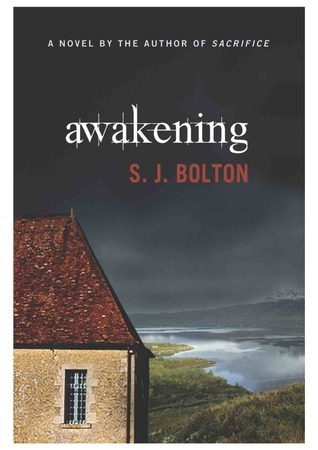 This standalone title from Sharon Bolton is decidedly creepy with wonderful Gothic overtones. Clara Benning is a compelling character, a strong woman in spite of her disfigurement. As I read, I kept thinking this would turn into something familiar and trite, as if a Gothic tale set in the American South had been overlaid on a British mystery. To my great pleasure, this never happened, and I enjoyed the thrills and chills all the way to the end of the book. Very enjoyable, and I will likely read more of Sharon Bolton’s work.